We set up Tewkesbury time bank in 2013. The time bank has now helped 53 individuals and worked with 15 local organisational members. Like many other small towns, Tewkesbury has an ageing population. We know from our other time banks in the county that as the time bank grows, up to 70% of the participants are likely to be older people who need some practical help. We are always keen to hear from people who can offer to help whether it be some gardening, a spot of DIY, taking someone for a walk, with shopping, posting on Ebay or meeting up for a cuppa, whatever might be needed day to day. Many participants also want more and varied social contact and are able to give their time to helping with community activities. Older people benefit from both receiving support from the time bank and contributing to their local community. 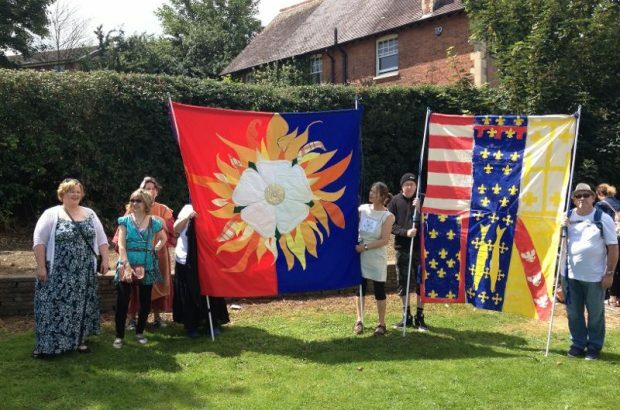 Tewkesbury is an historic town with a vibrant local community and through Fair Shares projects and activities participants have been able to get more involved.